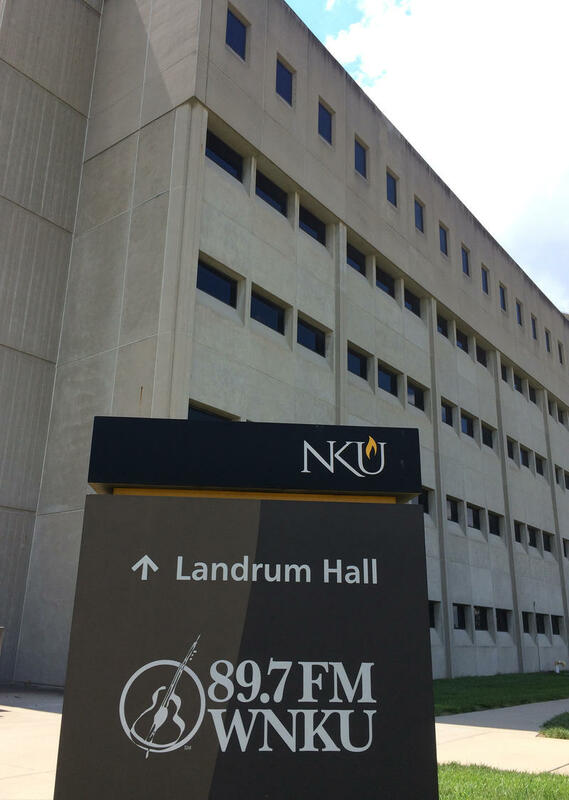 WNKU-FM ceased broadcasting from Landrum Hall on Thursday, Sept. 28. There's not much left at WNKU-FM for broadcast classes or students hoping to start a campus or internet station. Northern Kentucky University sold most of the WNKU-FM studio equipment with the transmitters for FM 89.7 on campus; FM 105.9 and AM 910 in Middletown; and FM 104.1 in Portsmouth. 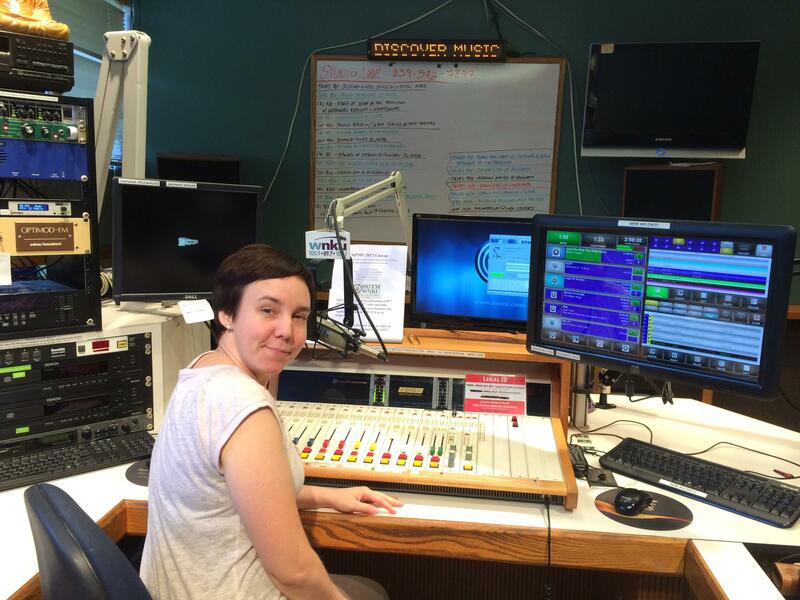 Program Director Liz Felix in the WNKU-FM studio in August. Radio programming ended at 6 p.m. Thursday. Grant County Broadcasters, which bought the university's last remaining station (Middletown's FM 105.9) on Thursday, will get the WNKU-FM microphones, audio boards and other equipment from Landrum Hall, says owner Jeff Ziesmann, who operates country WKNR-FM in Dry Ridges. Aaron Sharpe, WNKU-FM interim general manager, said that "to the best of my knowledge, he (Ziesmann) is getting everything from the broadcast studios. I can't speak for the university, but it would appear that WNKU's broadcast equipment will not be used by NKU students for the purposes of broadcast classes or an internet station." The university sold its flagship frequency 89.7, and the campus transmitter and tower, in August to the Bible Broadcasting Corp., which sends programming by satellite to the transmitter. In Middletown, Ziesmann bought the new digital transmitter and tower on 17 acres off Central Avenue. He did not buy the adjacent old farmhouse where the WPFB studios and offices were located from the station's debut in 1947 to NKU's purchase in 2011. "We split the lot. We bought 17 acres with the tower," Ziesmann says. "NKU still has the old farmhouse on 1-1/2 acres. We had no use for it. The old farmhouse was uninhabitable. At some point, the pipes burst, and it got flooded, and there's mold and asbestos. I didn't want the cost of the demolition, so I split the lot." Ziesmann's company will debut a new station and format on FM 105.9 Monday. Before beloved WNKU-FM vanishes into thin air at 6 p.m. Thursday Sept. 28, here's another installment of remembrances from loyal listeners and former staffers. WNKU-FM will play requests and listener comments all day Thursday on FM 105.9, which has been sold by the university to Grant County Broadcasters. A new station debuts Monday, Oct. 2.